working together to realize or achieve something successfully. This is a must in the cannabis industry. There is so much involved and expertise is needed from growers/farmers, business execs, media specialists, attorneys, heating/ac companies, excellent customer service staff, testing labs, research studies, patients, compliance specialists, packaging companies, etc. We are creating and growing the industry. It is evolving every day in many countries. Look and listen to the experts. Work with them. Learn from them. When someone has an idea how to propel the industry forward, with integrity, compliance, patient safety and wellness, it is helpful to all involved to share what works and what doesn’t. Successful businesses don’t go at it alone, they collaborate with others. 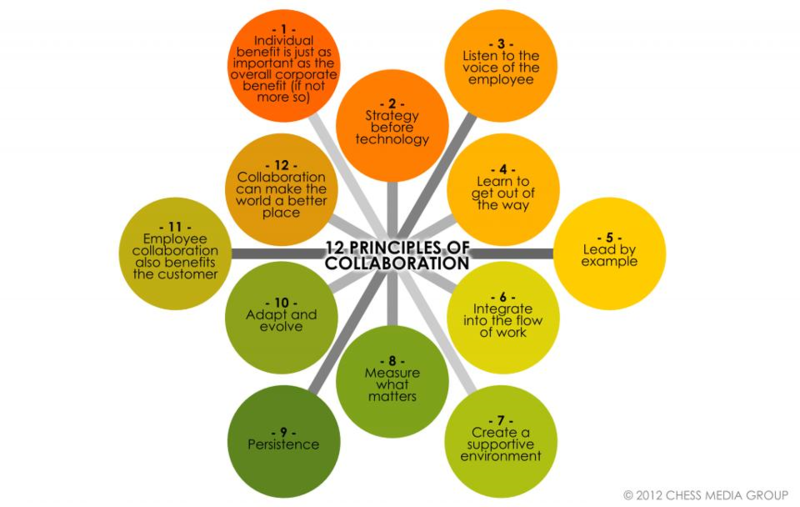 We liked the Chess Media Groups illustration of 12 Principles of Collaboration. As you look at the image above, which of these behaviors are you currently doing well? Which may need some attention? What if we released some of the instinct to compete…. and added in more collaboration? Would you and your business flourish more? Would there be benefit for your clients? We’ll throw down a Spring challenge for you- connect with someone or a group to expand your business and add value to your clients with generative collaboration. PS: Here at Cannabis Trainers we are always exploring ways to expand and contribute with collaborative endeavors! Previous PostHow you can help the MS Center with cannabis!